Benefits of feeding your dog raw honey are plentiful. Raw honey is one of nature’s most powerful remedies for everyone, including dogs. Honey can be great for the treatment of many conditions due to its richness in vitamins, minerals, and antioxidants. 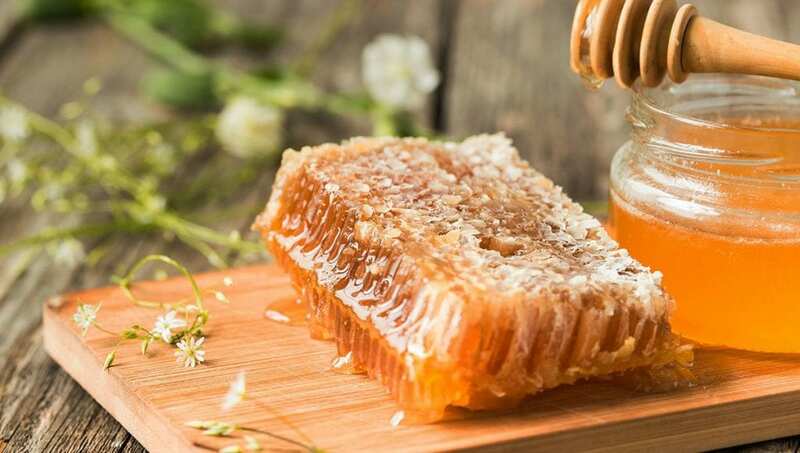 Because raw honey hasn’t gone through pasteurization or processing, the honey has not been heated or filtered – which means that they honey still contains bacteria that provide other medicinal properties. Bark ATL’s cage-free dog boarding facility is here to inform you on the benefits of feeding your dog raw honey. If your dog suffers from environmental allergies and skin allergies, feeding him local raw honey will help reduce symptoms. Raw honey can also help treat a kennel cough, coughing in general, throat pain, and promote healing for dogs with an infection. Not to mention, daily doses of honey & cinnamon for a week can help relieve arthritis pain. Additionally, raw honey can be used topically to reduce redness and swelling from skin sores. Not only can raw honey reduce swelling and redness, it can also increase healing time. Honey can help alleviate gastrointestinal problems due to its anti-bacterial properties. Veterinarians suggest that honey can help control stomach ulcers because it can help destroy bacteria. Furthermore, honey is a great digestive aid because it is full of enzymes. It is also soothing and can help tonify the body. Honey is a wonderful choice to give your dog a boost of energy because it is full of sugar. As a special treat for your dog, you can find delicious recipes online to make snacks with raw honey as well. Honey is a sweet treat meant for eating in moderation because of high calories.